I think a lot of people know how obsessed I am with Orbital’s music and have been for a long, long time. The pinnacle era for me was 1996 during the In Sides album release. Every album always makes me anxious, so when I was given the opportunity to listen to the then unnamed eighth album, I was naturally worried. So after all the insight into the making of the album, we get to hear the finished project. No doubt there will be a frenzy of people returning to the video diaries to see what sounds survived and to hear the early renditions of the final product. For me, I decided to take the album and listen to it for weeks before even considering putting pen to paper. You see all those reviews that come out after a couple of listens but to me it’s always interesting to know how an album will age with time. This is why I haven’t rushed into this. It was also intriguing to see how all these previews/demos we have witnessed on youtube have progressed into the final completed version. The eighth album kicks off with a luscious musical ditty called “One Big Moment”. There are a mass of spoken samples which always go down a treat. Half the fun is working out where they are from! Another thing Orbital are renowned for are there soundtracks and I would put this into that department. There are layers of beautifully crafted sounds entwining and building up into a very summery sound. It’s a shame it’s so cold outside as I write this! It really is a nice way to kick off the album and gives it a nice feel good start. “Straight Sun” is again in my eyes a nod towards a soundtrack style. It has some reminiscence towards a track of Middle of Nowhere but for the life of me I can’t pinpoint where or what! I think it nearly threatens to go all trance like and that’s what made me start thinking of live versions from TMON tour. It also gives a false impression from the start as well, as are treated to a piano like introduction but soon goes on its electronic trip. Its’ very much like driving and listening music rather than something you can bounce around to. It’s probably my least liked track of the album but I still like it. The next track was released as a free download just before Christmas and is still one of my favourite new tracks from Orbital. “Never” has the most intense and beautiful build to a track in a long time. There are lots of analogue sounds twisting, with beautiful pads painting the most amazing scenery in your mind. Plenty of tactfully executed vocals/samples that help create a very atmospheric soundscape. If you haven’t seen the video for this then go check it out. As my daughter said, it’s very much like a journey on the Knight Bus from Harry Potter. I’m sure this will be a delight to hear loud and live. 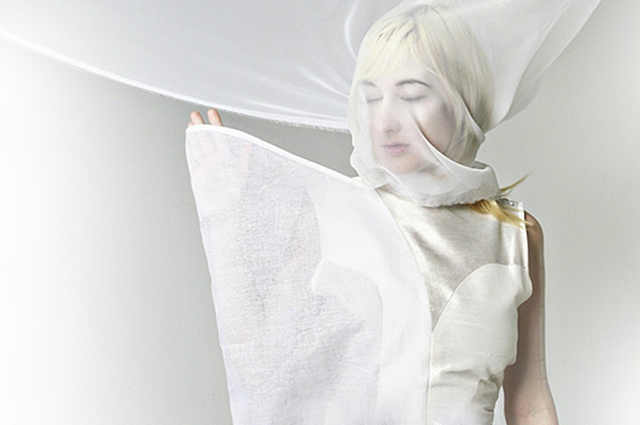 Fourth track in and we have some vocals from Nika Roza Danilova, also known as Zola Jesus! It’s quite an interesting concept that we normally associate these vocals over more experimental and often industrial sounds but “New France” is angelic sounding, over some delightful electronics. There are lots of reverbed echoing murmurs with some aggressive chorus lines. The perfect combination and works really well with the track. I remember struggling with “New France” to begin with because it is probably one of the most non-Orbital sounding tracks on the album. Nothing like a new challenge and in the long run this has worked out very well. It will be very interesting to see how this goes down as the new single and an interesting decision to release this. Perhaps the combination of fans might make it a popular release. It’s definitely the most radio friendly track of the album. Well, what can I say about the next one! I remember hearing this in the background of one of the diaries and I was like Wow! I was txting and emailing trying to find out what they had discreetly unleashed as some background sounds to a youtube video! The answer was “Distractions” and this is a beaut of a track. So beautiful, yet so melancholic but then it always reprises. The start reminds me of how electronica would sound like in a church. It has a lot of reverbing analogue synth lines, overlapped by what sounds like a slightly vocodered voice/sample. It even has that discreet but so required vocal whisper in certain parts. This is Orbital at its best. It’s just a delight to hear and a total instant like! It’s probably the stand out track for me and has been since the first listen. I can’t wait to hear where this goes in the live environment. “Distractions” breaks down and merges nicely into “Stringy Acid”. This takes us back in time and could quite have easily been released in the late 80s! For some reason, it makes me think of “Strings of Life”. It doesn’t actually sound like it but just some elements remind me of it. It’s a bubbling bouncing beating track, which closes in on a chilled out rave feel (if they do exist!!!) There are lots of high energy synth sounds and very much in a happy place. It does give the listener that warning that we moving around a bit now. This is no longer a soundtrack but moving towards a few different ideas. I personally like “Stringy Acid” but I DO love those old skool sounds and have to admit, to remembering them as well! The next track is, I believe, going to divide a lot of opinion and it won’t be the ONLY track to do that. It’s just that people have already made comments about the re-working of “Satan” which has metamorphosed into “Beelzedub”. Let’s deal with the title first! 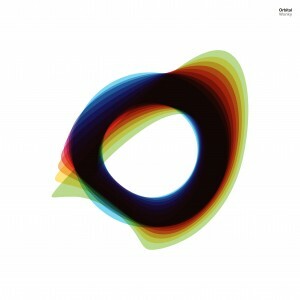 Of course we had “Beelzebeat” from Orbital from the Funny Break EP. I haven’t asked the question about this, but IS this word connected with the subject matter? Go google the word Beelzebub for example. So anyway back to the actual sounds. Let’s just say that this track sounds dirty! It has a lot of, dare I say dubstep elements which occasionally move to a more up tempo drum and bass style. Complete with the occasional snare rush! Can’t beat a snare rush can you? There are some obvious unchanged bits from the original Satan but this really does feel like an original track as opposed to a re-working. I like it but I know people are just going to snub it because of its style. Now the album name track! “Wonky” is probably one of the maddest Orbital tracks they have ever made. I was fortunate to hear the instrumental version first and this certainly had a lot going for it. I remember thinking the main breakdown / middle 8 (about 3 minutes in) was one of the best I’ve heard from Orbital. There are loads of analogue style beeping, whistling which are all lying partially within one another. It’s really ear bending and in a good way. The rest of track is just what the title is called! Wonky! Synth’s warbling/pitch changing in a style of a car accelerating or a glass filling up as the sounds glug! Or maybe it’s some stoned and warped out wasps flying about! Yes, those frantic sounds are just superb! Now, this version includes the MC style vocal/rap from up and coming and fellow Brummie, Lady Leshurr. She is also known as the female Busta Rhymes! I thought the original track had a few moments where it needed something else and to be fair, this is clearly now filled in by Lady Leshurr. As much as I don’t mind a change in direction, I have to admit to initially struggling with it. The middle 8 is just gone in my opinion and too quiet, lost in the background. Let’s not forget to mention that Lady Leshurr also makes up for this loss, by singing over the top of it. Yes, unlike most rappers, she CAN sing and also produce an energetic rap / MC also. On the whole, after many listens, I think the album version of Wonky does work in its own entirety. Lady Leshurr has some serious talent and has managed to fit nicely to the totally bonkers sounds. I just wish that middle 8 had its own stage and a loud PA to boost! The final track is one I heard from footage at their DJ set in Vienna. It starts with a simple solo beeped out tune and then kicks offinto what I can only pigeon hole as a “tune”. There is a very positive and uplifting feel to the whole track. Again, plenty of analogue sounds including the main lead with some lovely combined composites. It’s just perfect for the live environment and I can see this being one of the favourites for the album. This is a typical Orbital trademark tune with all those stabbing synth lines that they always magically pull out of the hat. How can anyone not like this? So overall, it’s been a fifty minute electronic soundtrack journey with a slight diversion in the middle. This took us back to the 80s, threw in a bit of dubstep and then some crazy wonky mc’ing! Has the now infamous Album road map taken any of us to a couple of derelict locations? I personally don’t think it has. There are a couple of tracks that seem to stick out from the rest because they are in a slightly different direction. This doesn’t mean it’s a negative comment, it’s actually positive. Of course to some, this may seem a worrying prospect but after many weeks of listening, I feel this is probably one of the best Orbital albums since In Sides. I guess we have to remember that I love analogue style sounds, I like a soundtrack feel to an album and I like to hear those Orbital trademarks but if you knew me, then you would know I’m a very critical person when it comes to music. My worry has gone for another release and I’m happy enough to post a review knowing it’s going to be positive and I won’t be losing two friends over it! Is this better than In Sides? No, not for me it isn’t. It’s a different journey in that respect. Is this re-inventing Orbital in a different way? Possibly not, I actually think we have gone back in time a little. It’s seen in a couple of new styles but for the majority, loaded up the wonderful Orbital machine of likeable tunes. Are you going to like this? Yes I think you will love the journey. ORBITAL : WONKY : Out 1st April and 3rd April in the USA. Great Review Steve! I am one of the few Orbital fanatics in the USA and I’m eagerly awaiting this release. Good question Pirtek. Have you had a chance to listen to P.E.T.R.O.L. (Final Drop Mix)? Thank you for the reasoned review. The break down against InSides at the end is particularly helpful. Let’s hope ‘Wonky’ will be 1000x better than the ‘Blue Album’, which was a shameful embarrassment! Hopefully there’s not too many irritating gimmicks and vocals and it’s more like ‘In Sides’, which was easily their best album and the best electronic album ever made. Come on now, you’ll never get another ‘In Sides’ or ‘Out There Somewhere’, however good their new stuff is. P.S. Is the complete ‘Final Gig’ Maida Vale (2004) live set available to download anywhere? I think Wonky is a nice album, but it’s nearly the weakest Orbital album. No dephts, no dark moods, instead it’s full of simple sounds, and dance. I think Wonky is too happy to the Orbital universe. Anyway, I absolutely love the album in itself, but as an Orbital album it’s not so strong. I hope next they will do a more darker and experimental album! Blue Album was a true Orbital sounding album, it’s one of their best! Oh, and I really miss the 10+ mins tracks!